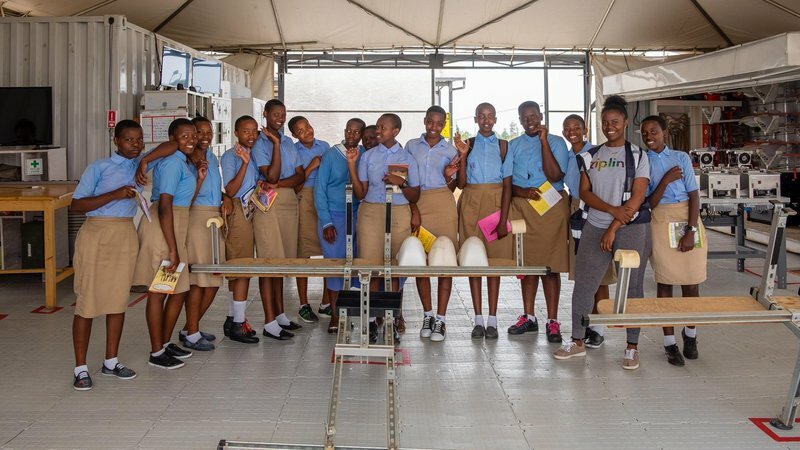 When my husband Tom and I arranged to take students from our schools’ GLOW (Girls Leading Our World) clubs to visit a local organization that delivers blood by drone to hospitals around the country, we expected we would all come away inspired. 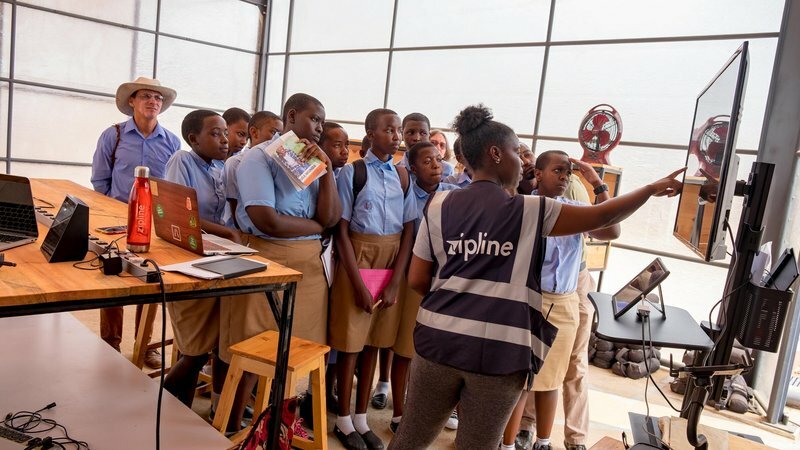 But when we heard our guide, a Rwandan university student named Irene, sharing her advice about girls supporting girls, we realized the learning was going to go beyond the technical details of the life-saving organization. Irene explains how the business uses drones to deliver urgent medicines, such as blood and vaccines, to those in need throughout Rwanda. 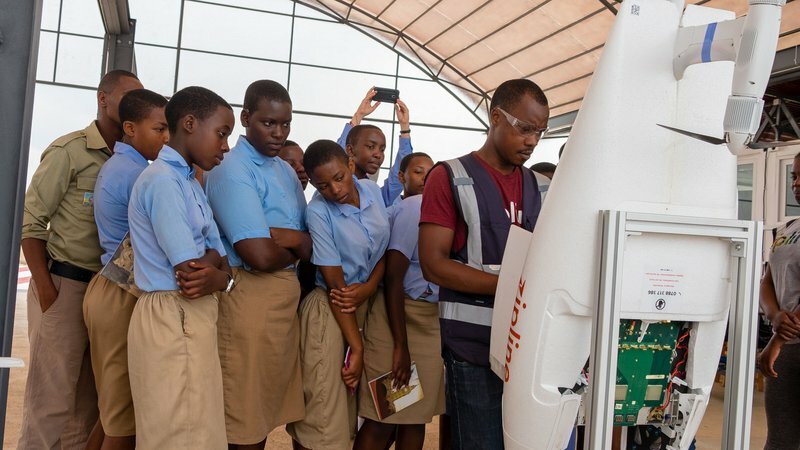 Students observing a drone returning to base. A technician loads a drone. After finishing our tour and taking group selfies with Irene, we left feeling inspired on many levels – at the life saving technology that is helping rural hospitals provide emergency health care, and in thinking about the future. Back at school, the girls were eager to talk about what they had learned. 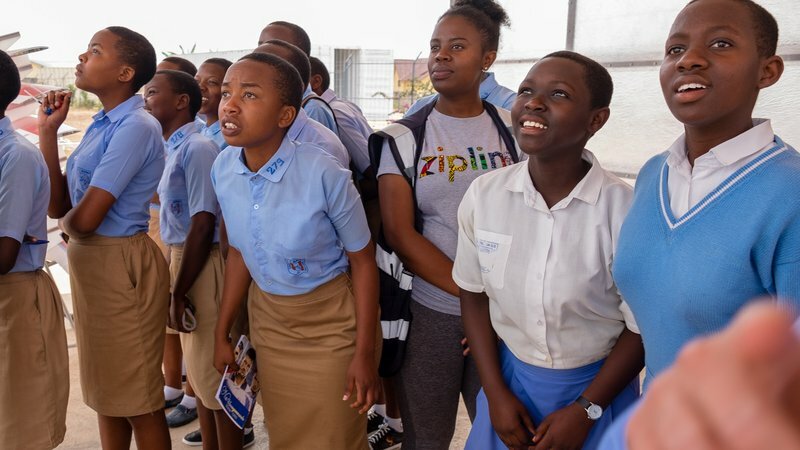 “She achieved her objective by being a strong and self-confident woman,” said Liliane, a 17 year old student who wants to motivate girls to prevent teen pregnancy. 13 year old Sonia, who wants to become Miss Rwanda or a journalist and to improve gender balance in her country, agreed, saying, “she told us to try everything – when you love something but don’t have experience, try it, have self confidence.” Reflecting on Irene’s persistence over several years in seeking opportunities for university study, the other Vanessa in the group, who hopes to become a journalist, added, “I think I have to work hard to achieve, and never give up on what I want. As for me, I was reminded that a lot of the magic of Peace Corps happens when you find good people to connect, then get out of the way and let them support each other. Girls Leading Our World, indeed. Kristina is a Secondary English teacher in Rwanda, an RPCV (Benin 1996-1998), and a lifelong culture explorer and international educator. She believes that spending 2 years in Peace Corps every 20 years or so helps keep American life in perspective.